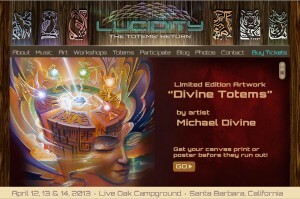 The Lucidity Festival is a weekend long art and music event that happens East of Santa Barbara California, at live oak camp ground each year in April. I went in 2012, and it was remarkable! 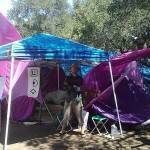 I helped build and manage the Lotus Dream Dome at the Healing Sanctuary. This is where I led workshops on how to lucid dream and helped other presenters hold workshops on what they specialized in with regard to dreaming, astral projection, and shamanic journeying. I intent to go every year and I am looking forward to the weekend of April 12th 2013 for this years Transformative Festival. For 2013 the main theme camps are separated into 6 totems. 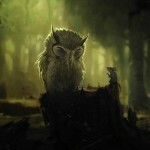 The Wise Owl Totem is in alignment with dreamers and healers. It will be where I will be spending most of my time and presenting information on how to get lucid in a dream. I encourage other lucid dreamers to attend the Lucidity Festival because it will be a fun and vibrant way to explore and spread lucidity in your waking life, as well as in the dream state. If you would like to attend the Lucidity Festival, contact me for a promotional code that will get you $5 off the ticket price, and will help support the manifestation of the dream dome. We could arrange to meet there also. I invite all dreamers to participate in any way you feel called, and experience for yourself the Lucidity Festival.